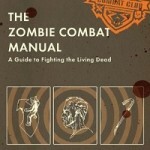 If the somewhat scholarly Zombie Movie Encyclopedia wasn’t quite the right zombie movie guide for you, then Glenn Kay’s Zombie Movies: The Ultimate Guide may be a better fit. 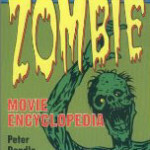 Kay chronicles more than 300 zombie movies and TV episodes from the original 1932 White Zombie to the 2008 feature Diary of the Dead. Kay’s book takes a more laid back, film-fan approach to the genre than Dendle did, making it an easier book to read straight through. Interestingly, he starts off with a lengthy and fairly detailed history of Haiti that seems a little out of place considering the tone of the rest of the book. 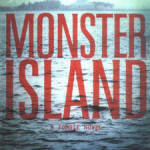 Still, it’s an interesting read that offers some insight into the origins of the zombie myth in our culture and a little history never hurt anyone, right? Kay organizes the book by era, breaking it into roughly decade-sized chunks. This organization makes it easy to follow the development of the genre, lending the book some of its linear readability, but it necessitates a trip to the index to find a particular film you may have heard referenced by name without knowing the era it is from. 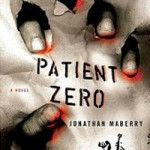 Kay doesn’t offer a lot of detail about what criteria he uses to select a film as a zombie film, and although he clearly takes an expansive view of what is or isn’t a zombie, there are few, if any, selections that will upset anyone but total purists. 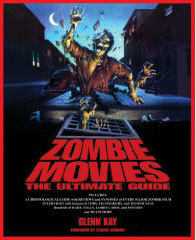 Most of the entries are given a third to half a page of discussion, with more important works (Romero’s films, for example) receiving as many as several pages and lesser works covered in one or two paragraphs. He rounds up lots of minor films with a mere mention in end-of-chapter lists. Though he doesn’t cover video games with their own entries, he does discuss their impact on the genre at several points. Each movie that gets a full entry is also rated, but he uses an obscure set of symbols to denote their rankings, making them a pain to use. A simple one-to-four star rating system would have been preferable to trying to remember what a zombie figure with a stick through its midsection denotes. Like any review, some of his takes seem spot on and others earn a puzzled “WTF? Is he serious?” He does a good job justifying his positions, for the most part, so at least you’ll know why he likes that turd you hated so much. 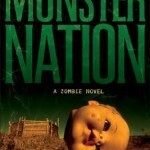 He wraps the book with a chapter on the 25 greatest zombie movies of all time, a list that is sure to cause some contention among serious fans. For what it is worth, I agreed with about half his list, while the rest ranged from debatably justifiable to sheer insanity. As a bonus, Kay has included Q&A format interviews with various directors, special effects people, extras, etc. These are fairly interesting, but seem slightly out of place and don’t really add much, in part because none of them is particularly insightful. In addition to a generous amount of black-and-white photos of film posters (many of them foreign) and production stills, there is a nice full-color set of images in the center that adds to the visual appeal of the book. The index, appendices and bibliography are a little anemic, but most readers won’t even notice. All in all, it’s a nice, casual reference work that is worthy of consideration from any fan.